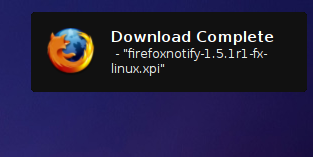 There are not too many Firefox add-ons specific to Ubuntu Users. However I found these three add-ons really useful. With Firefox Notify add-on, you can receive all Firefox notifications through Ubuntu's native d-bus notification system. Works for Gnome as well as KDE environments. It may work on other distros too, you have to try it yourself. 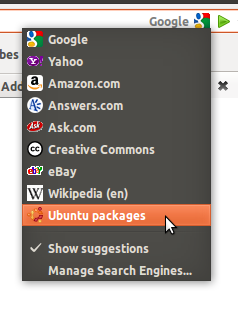 Lets you search Ubuntu packages right from Firefox search box. 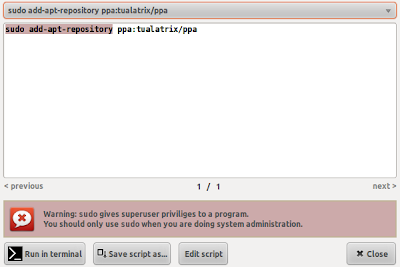 This is really useful add-on for Ubuntu users. This add-on allows you to select shell commands from any web page and execute them just by a simple right click.